Invisalign® straightens your teeth just as effectively as traditional metal braces, but using a modern approach that is best suited for an active and social lifestyle. The clear plastic aligners are virtually invisible and they are removable making oral home care easier during treatment. Invisalign® is made of smooth plastic that is comfortable to wear. The convenience of Invisalign® appeals to people in all stages of life. 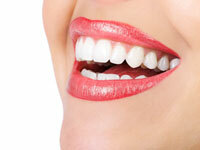 Enjoy the significant benefits of improving your smile with minimal impact on how you look and feel. Invisalign® corrects a wide variety of dental problems, including teeth that are gapped, spaced or crowded. Invisalign® treatment begins with a consultation to determine if you are a good candidate and to answer all of your questions. Dr. Lempert is a specially trained provider who will develop an individualized treatment plan for your best results. She will start with photographs, x-rays and digital impressions of your teeth to create a 3-dimensional image. Dr. Lempert will then plan the exact movements of your teeth and create a virtual image of your anticipated end result. Based on your individualized plan, a series of custom-made, clear aligners are fabricated specifically for you. The aligners are made of smooth BPA-free clear plastic and they fit easily over your teeth. You can remove the aligners to eat, drink and to clean your teeth. You will begin by wearing an initial set of aligners and progress to a new aligner every 1-2 weeks. During this time you will notice the improvement in the position of your teeth. Dr. Lempert will monitor your progress in the office approximately every 8-10 weeks. Invisalign® is designed to be removable and therefore is convenient when you need to briefly take out your aligners for a special night or event. If you play a contact sport that requires a mouth guard, you can simply replace your aligners with the mouth guard while you play. If your contact sport does not require a mouth guard, an extra advantage to Invisalign® is that it allows you to continue to wear your aligners without worrying about sharp brackets or wire ends cutting your mouth. 5 out of 5 stars based on 3 Invisalign reviews. Very friendly & professional staff! Dr Lempert is fantastic with all dental & orthodontic needs!!! A 10 star office!!!! !